The most popular method for bathtub restoration is reglazing. The bathtub is professionally cleaned with a high-power industrial cleaner and chemically etched or sanded to prepare the surface for the new finish. Existing chips and hair-line cracks are filled and treated. Another widespread method that apartment complexes and hotels use is a bathtub liner. The bathtub remains in place and is completely covered with a form-fitted liner. There is no demolition to walls or plumbing. We offer a range of services to help restore bathrooms and kitchens. When refinishing these surfaces it brightens up your home or apartment to give a clean, new appearance. We can completely refinish an entire area or repair individual spots or cracks. The material we use to coat the surface is a high gloss with elastameric qualities. 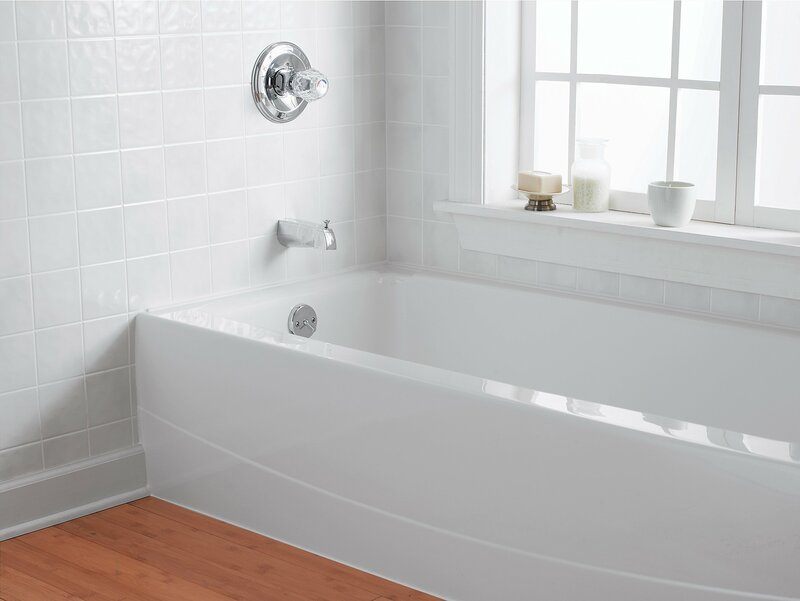 Porcelain Bathtub Refinishing – ideal for porcelain tubs that are dull or hard to clean! Even with everyday normal use, the original porcelain finish on a porcelain bathtub can become dull, porous, and hard to clean after 15 – 20 years. The use of abrasive cleaners, like Comet or Ajax, can even more quickly degrade the surface. Porcelain bathtubs can also be easily cracked or chipped. Much more economical than replacement. Typically only one day to complete the job. No demolition or construction mess. Extend the life of the fixture for many more years. Fiberglass Bathtub and Shower Repairs – When it’s more than just a cosmetic issue. Fiberglass bathtub and shower enclosures are widely used by builders even today for new construction projects. And for the last 4 decades, they have been builders first choice because of their affordability and ease of installation, especially in track homes, condominiums, apartments, and hotels. Though the durability of fiberglass is good, they are not without their issues. Many times these one-piece units are not supported properly and eventually result in weak, cracking tub floors causing leaks and water damage to surrounding areas. American Bathtub Refinishers can repair pretty much every fiberglass enclosure problem no matter how big or small and once the repair has been properly corrected we can refinish the fiberglass enclosure to achieve a like new appearance all for a fraction of the cost of replacement. Tile Surfaces – Are you looking to install tile? Before installing tile countertops or shower/bath walls, consider refinishing your existing tile. Refinishing is a green alternative that will save you a significant amount of time and money over removing and installing new tile. Whether your tile is damaged or needs replacement, tile refinishing is almost always more affordable and less work. Refinishing can save up to 75% of total replacement costs. Not only is refinishing less expensive, but it is also faster. Replacing a tile countertop or shower wall will involve messy demolition and expensive tile setting labor. Demolition and replacement will take days, if not weeks. With refinishing, you can typically use your kitchen or bathroom within 1 day.